Every new release from Christian Louboutin&apos;s men&apos;s line seems to get crazier and crazier. 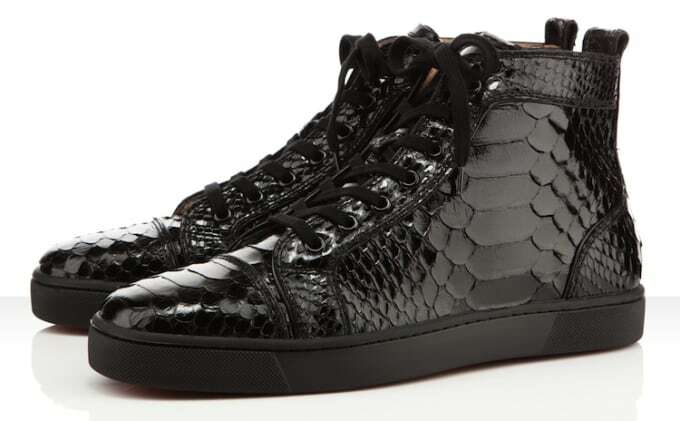 The latest creation, the Louis Python Crystal Sneakers, features patent leather snakeskin with python scale detail. With black laces, black soles, and the brand&apos;s signature red bottom, these will definitely be on your favorite rapper&apos;s feet by the end of summer. For $1,495, they can be yours. Head over to Christian Louboutin&apos;s online shop to cop.